Just a quick one to start the week in order to confirm a few upcoming club championship fixtures within the county. 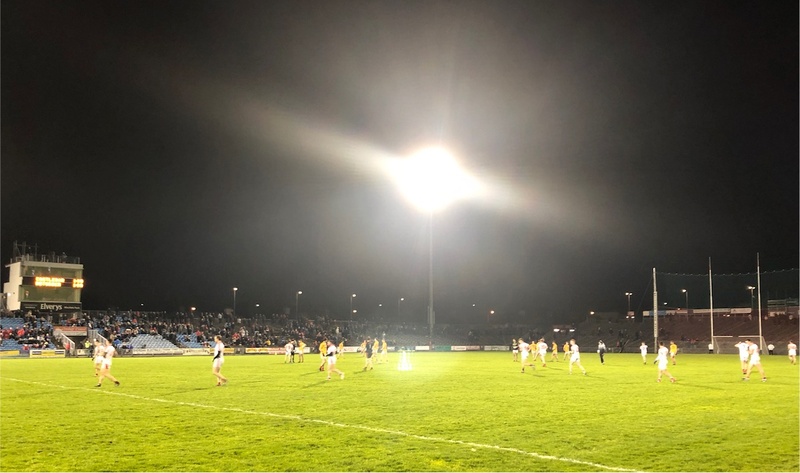 The Senior football championship semi-final replay between Castlebar Mitchels and Ballintubber will be played under the MacHale Park lights this coming Saturday evening (13th October), where throw-in has been fixed for 7pm. The IFC and SFC finals will then be played the following Saturday evening (20th October), with the Intermediate decider throwing in at 6pm followed by the Senior final at 8pm. Both next weekend’s replay and the IFC and SFC finals will be streamed live on the increasingly popular Mayo GAA TV service. Speaking of finals, this coming Sunday (14th October) sees the annual face-off between Tooreen and Ballyhaunis in the county’s Senior hurling championship. This year’s Tyrell Cup decider will be held that afternoon at Ballyhaunis (throw-in 3pm) where it’ll be preceded, at 1pm, by the U12 county final between Tooreen and Claremorris. That’s your lot for now. Back in a bit with a bonus episode of the Mayo News football podcast, in which we discuss James Horan’s return as Mayo manager. That should be online around lunchtime today, with the usual club review episode to follow tomorrow. Dammit. I had some notion in my head that the finals were going to be on the Bank Holiday weekend, and was making plans to head west for these games. Won’t make them now, other things on for the 20th that will prevent travel on my part. Will have to make do with Mayogaa TV, which is quite excellent to be fair. I really think there should be a subscription fee for this blog !!!. Again Willliejoe, you are really on the ball, the time and effort you put in to it is incredible. Thank you. Don’t give him any notions Paddyjoe…!